Who Else Is Asking, “Can I Sell My House Fast In Pleasanton“? Yes! You can now sell your house fast in Pleasanton house FAST. We’ll give you a fair cash offer (it’s a no obligation offer so you can decide if it’s right for you). We are Anchored Sunshine, LLC and we’re the leading Pleasanton experts who buy real estate fast. 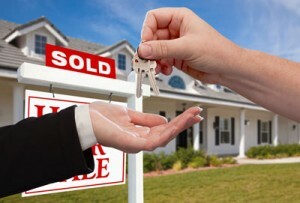 We buy houses in any condition, situation, or price in Pleasanton or the surrounding area. If you want to sell fast in Pleasanton then we’re ready to buy. There are many reasons why you might want to sell. After all, owning a house can be challenging and costly. Perhaps you’re going through a divorce, or you have to move to a different city for work and you just don’t want to deal with this property from a distance, or maybe you’re facing foreclosure, or perhaps the house is in probate. Even if the house needs a lot of work or is vacant or there are troublesome tenants you can’t get rid of — we’re ready to buy your house from you. If you have a property in Pleasanton TX, we’d like to give you a fair cash offer on your house. Keep reading to find out how much we can pay for your house. We Buy Pleasanton Houses Fast For Cash! Maybe you’re still exploring option options and trying to decide whether to sell through an agent or not. An agent will have you pay up-front to repair and clean-up your property before they even try to find a buyer. Then, they’ll start looking for a buyer but it could take months (usually 3-6 months, sometimes longer). Don’t forget that you’re paying bills and taxes on the house the entire time. If the agent finds a buyer, you’ll have to pay the agent a hefty commission (usually thousands of dollars). Paying… waiting… paying more. Yikes! There’s nothing wrong with working with an agent but it’s definitely note for everyone. That’s where we come in at Anchored Sunshine, LLC. We’re not real estate agents who want to list the house; we’re a professional house-buying team and we want to actually buy your Pleasanton house from you directly. We have the funds available right now to buy, so we can close fast (even in as little as 7 days). We buy in any condition or situation so you don’t even have to fix up or clean up the house when you go. And since we’re not agents, there are no fees or commissions to pay. Just enter your information into the short form at the top of the page and we’ll get back to you right away (usually 1 day or less) with our best all-cash offer. You’re in complete control, so you can choose whether or not to accept our offer. If you accept the offer, then just tell us when you want to close and we can close fast on your timeline (even in as little as 7 days). Fast closes, any condition, no waiting, no commissions… no wonder Pleasanton TX sellers love working with us! Our goal is to make your life easier and get you out from under the property that’s stressing you out. We’ll put cash in your pocket and pay you a fair, honest price for your house so you can walk away from the burden and get on with your life. Do you own an unwanted property that is stressing you out? Here’s the great news: we are Anchored Sunshine, LLC and we’re ready to make you a fair cash offer today and buy your Pleasanton house as quickly as you’d like. Can You Get Your House In Pleasanton Back After Foreclosure?